Mikei Red Reishi - What is it? Once reserved only for royalty, red reishi was the most sought after medicinal herb in Eastern medicine because of its rarity. Today, practitioners of Traditional Chinese Medicine consider red reishi nature’s most powerful and beneficial adaptogen. Adaptogens are herbs that can increase the body’s ability to handle external stressors and restore it to normal physiological functions. 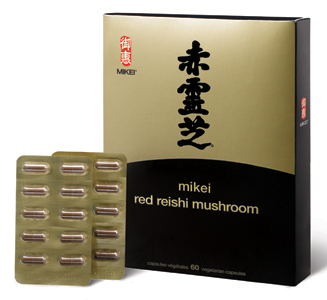 No other adaptogenic herb can do this better than red reishi.